APTSES is a Portuguese Social Educators’ Professional Association founded in 2008. APTSES’s primary objectives are to ensure the dignity and prestige of the profession of Social Educator, promote association among professionals, and represent the rights and interests of those in the field of Social Educator. A APTSES é uma associação profissional de educadores sociais de Portugal, fundada em 2008. Enquanto principais objetivos, a APTSES visa assegurar a dignidade e o prestígio da profissão do educador social em Portugal, promovendo a associação entre profissionais e representando os seus direitos e interesses. Association of Educators in Social Pedagogy (AESP) was found in 2013 and associates members from the Czech Republic. AESP members are educators in social pedagogy, especially from universities, and other persons who are interested in social pedagogy like professionals from social pedagogy organizations and students. 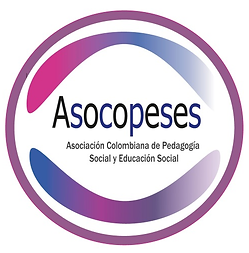 The main aims of AESP are: develop of social pedagogy as a branch of study and science, including application in practice; formulate educational standards in social pedagogy at universities; enforce laws to social pedagogy promotion; create widespread communication field for stakeholders (especially educators in social pedagogy, professionals, students and lawmakers). Somos una organización de la sociedad civil que busca generar soluciones que se adapten a las necesidades de las realidades complejas que se viven en nuestro país, promoviendo el desarrollo integral del territorio mediante el fortalecimiento de capacidades de los individuos y sus contextos, la construcción de proyectos de desarrollo e investigación aplicada, así como estrategias para la mejor comprensión de la realidad y su consecuente transformación. The General Council is an Organization that promotes joint participation and debate, an organization that promotes social change and based on values ​​with a strong social commitment embodied in its ideological principles. El Consejo General es una Organización que promueve la participación y el debate conjunto, una Organización que promueve el cambio social y se basa en valores con un fuerte compromiso social plasmado en sus principios ideológicos. Socialpædagogerne is the Danish union of social educators. Besides promoting better working conditions for social educators, the organization works for children, young people and adults with social problems or disabilities. The work includes strengthening the profession and pays attention to social policy. The German Educational Research Association (GERA) is an association for educational researchers who are active in teaching and research. The association was founded in 1964 and has around 3,000 members, more than 600 of which belong to the association’s subdivision of social pedagogy. The subdivision of social pedagogy represents the interests of its members, who understand social pedagogy as both a specific form of knowledge and practice related to political, societal, cultural and organizational structuring. It is committed to support colleagues at German universities of all kinds who offer degree programs in social pedagogy, and cooperates with professional organizations and unions of social pedagogues actively involved in the field to strengthen social pedagogy as an academic and professional perspective. The purpose of AIEJI is to emphasize and promote the philosophy of social education and its uniqueness in being actively involved in partnership with clients, working with them, not only individually but in groups, families, communities and the social environments towards the development of their strengths and in resolving personal, social, and community difficulties. The interdisciplinary field of social pedagogy is developing and evolving constantly, seeking strong connection between, and unity of, theory and practice. The International Journal of Social Pedagogy considers it critically important to provide a platform for dialogue between theory and practice. It therefore encourages both original contributions about theory and research in social pedagogy and articles that reflect social pedagogical perspectives in practice settings throughout the United Kingdom and globally. The Society’s goal is to objectively and scientifically clarify principles of adult, continuing and community education including youth education and to create a rational academic foundation for work in this field. The Laboratory will articulate new societal challenges as richly and diversely as possible through the development of theory (by forming concepts and language). The research therefore combines both methodologically and theoretically different approaches. In doing so, it will deal with educational matters at the crossroads of education and society, thereby constituting new ‘issues’ and ‘objects’. It also wants to discuss problems and questions of education, not only as private and individual matters, but always as public and common matters of concern. Social pedagogy Interuniversity Magazine deals with emerging issues in the field of social pedagogy and social education (inside and outside the school), social work and social services. Preferably, it publishes original research results, derived from empirical studies based on qualitative, quantitative and / or mixed methodology. The magazine was founded in 1986 and is edited by the Ibero-American Society of Social Pedagogy. The topics dealt with, among others, have to do with cultural diversity, sociocultural animation, community development, policies and socio-educational programs, maladjustment, integration and social exclusion, leisure and free time, social and school violence, adult education and / or older, gender, training and professionalization. The magazine is published in its entirety in two languages: Spanish or Portuguese and English. Pedagogía Social. Revista Interuniversitaria se ocupa de los temas emergentes en el campo de la pedagogía social y la educación social (dentro y fuera de la escuela), del trabajo social y de los servicios sociales. Preferentemente publica resultados originales de investigación, derivados de estudios empíricos basados en metodología cualitativa, cuantitativa y/o mixta. La revista fue fundada en el año 1986 y es editada por la Sociedad Iberoamericana de Pedagogía Social. Los temas que trata, entre otros, tienen que ver con diversidad cultural, animación sociocultural, desarrollo comunitario, políticas y programas socio-educativos, inadaptación, integración y exclusión social, ocio y tiempo libre, violencia social y escolar, educación de adultos y/o mayores, género, formación y profesionalización. La revista se publica en su totalidad en dos idiomas: español o portugués e inglés. Pedagogia social A Revista Interuniversitária trata de questões emergentes no campo da pedagogia social e da educação social (dentro e fora da escola), trabalho social e serviços sociais. De preferência, publica resultados de pesquisa originais, derivados de estudos empíricos baseados em metodologia qualitativa, quantitativa e / ou mista. A revista foi fundada em 1986 e é editada pela Sociedade Ibero-Americana de Pedagogia Social. Os temas abordados, entre outros, têm a ver com diversidade cultural, animação sociocultural, desenvolvimento comunitário, políticas e programas socioeducativos, desajuste, integração e exclusão social, lazer e tempo livre, violência social e escolar, educação de adultos e / ou mais velho, gênero, treinamento e profissionalização. A revista é publicada na íntegra em duas línguas: espanhol ou português e inglês. The Social Pedagogy Team at the Pedagogical Sciences Committee of the Polish Academy of Sciences is a representation of persons and institutions who deal with the theory and practice of social pedagogy, ie in the classical sense of the problems of environmental determinants of educational and caring processes and human development in various phases of his life. Zespół Pedagogiki Społecznej przy Komitecie Nauk Pedagogicznych PAN jest reprezentacją osób i instytucji, które zajmują się teorią i praktyką pedagogiki społecznej, tj. w klasycznym rozumieniu problemami środowiskowych uwarunkowań procesów wychowawczo-opiekuńczych i rozwoju człowieka w różnych fazach jego życia. The Program in Social Pedagogy, 180 HE credits, at University West, awards the students a Degree of Bachelor of Arts with a major in Social Work and Social Pedagogy after a three year program is completed. The University is located on the Swedish west coast, just a few kilometres from Gothenburg. We have a campus which it is situated in the heart of the pleasant city, Trollhättan. A main focus in the program concerns issues related to participation, community, learning and social identity. For example, mobilisation work with individuals and groups within different fields and in structural societal work. The program offers scientifically, theoretically and practice based knowledge that prepares the students for qualified work with in various fields within the welfare sector on individual- group and societal level. The students are trained to work with socially vulnerable people in the broadest meaning of the word: he/she tries to give professional support to people of all ages who are for various reasons in need of social work intervention. Some of these reasons can be mentioned as intellectual disabilities, psychiatric problems, drugs dependence, autism, child abuse or neglect etc. The students are oriented to work in social services practice, (semi-) residential settings, in day care, in family support, in schools and other suitable establishments. Nuestro objetivo es fortalecer la investigación, la formación y la divulgación de la Pedagogía Social en México y contribuir al desarrollo social comunitar. REPSA brings together the Technicians and Graduates of the study of Social Pedagogy in Argentina. REPSA reúne a los Técnicos y Graduados del estudio de Pedagogía Social en Argentina. d) selected socio-educational phenomena (such as: family up-bringing, school functioning in the community, institutions of care and social work helping the child and family, volunteering and third sector institutions, social inclusion and exclusion, socio-cultural animation, global education, history of care and education). Te damos la bienvenida al Portal de la Sociedad Iberoamericana de Pedagogía Social (SIPS). Somos una sociedad científica independiente. Nuestro portal pretende dar soporte a los investigadores, educadores y estudiantes con base innovadora enmarcadas en las áreas de la pedagogía y educación social. Esta página nace como un punto ideal para el encuentro y la transferencia de conocimiento. We are an association of individuals, organizations, and institutions committed to the practice, research, and continuing development of social pedagogy. Join us! Somos una asociación de individuos, organizaciones e instituciones comprometidas con la práctica, la investigación y el desarrollo continuo de la pedagogía social. ¡Únete a nosotros!